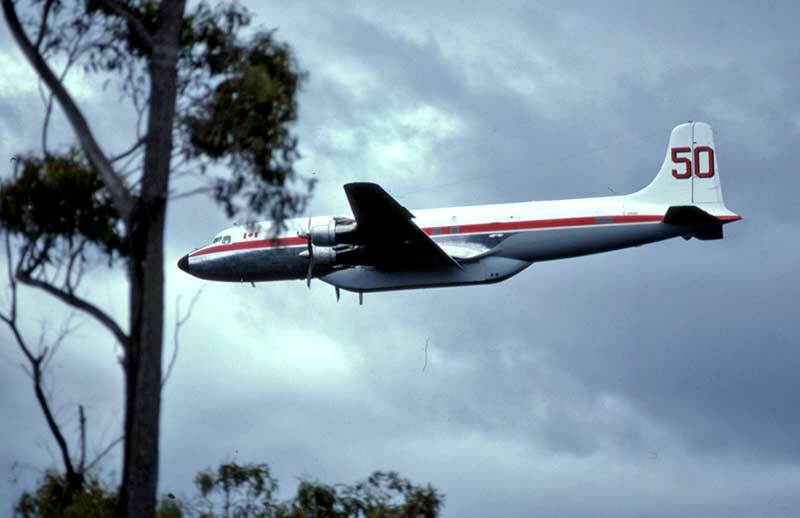 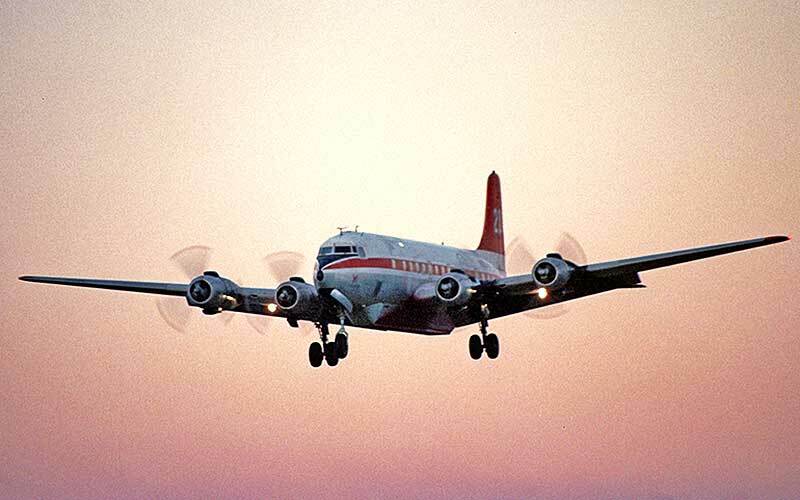 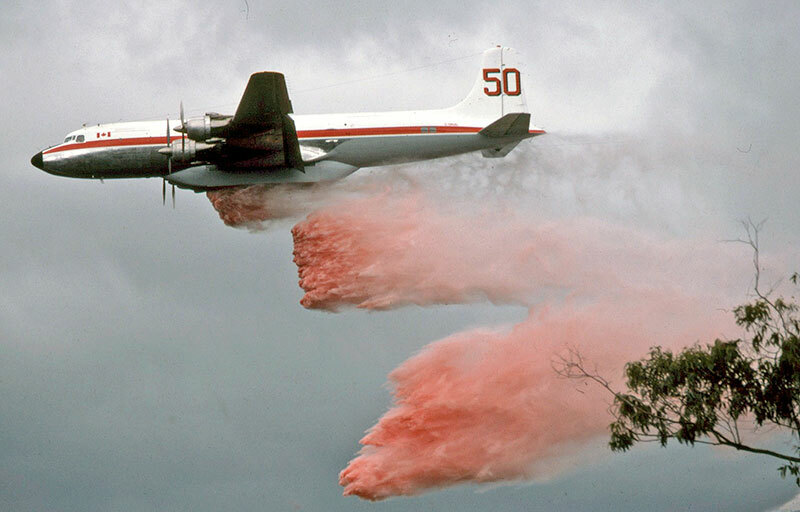 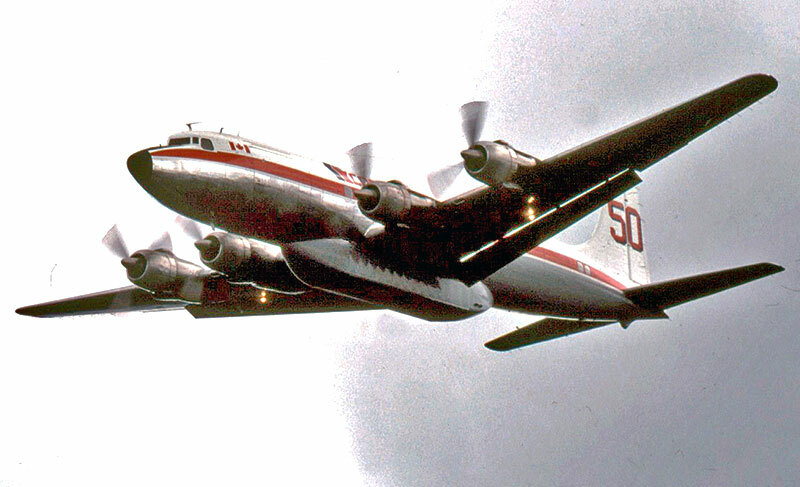 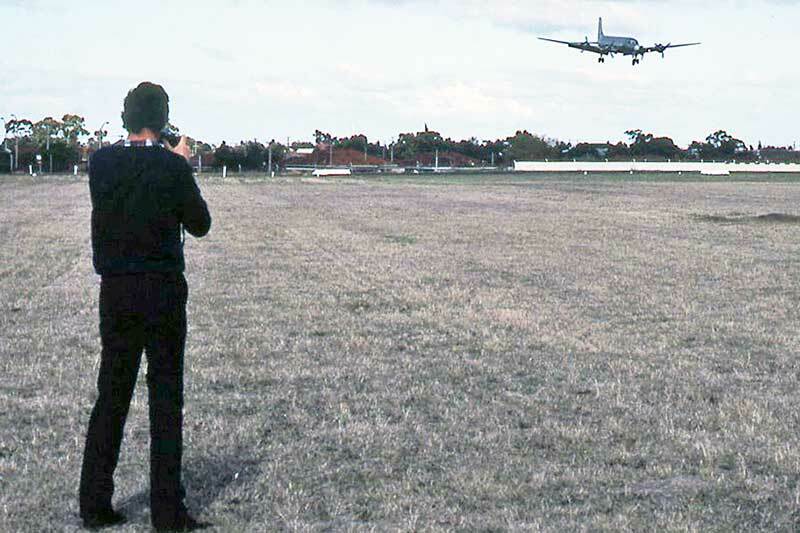 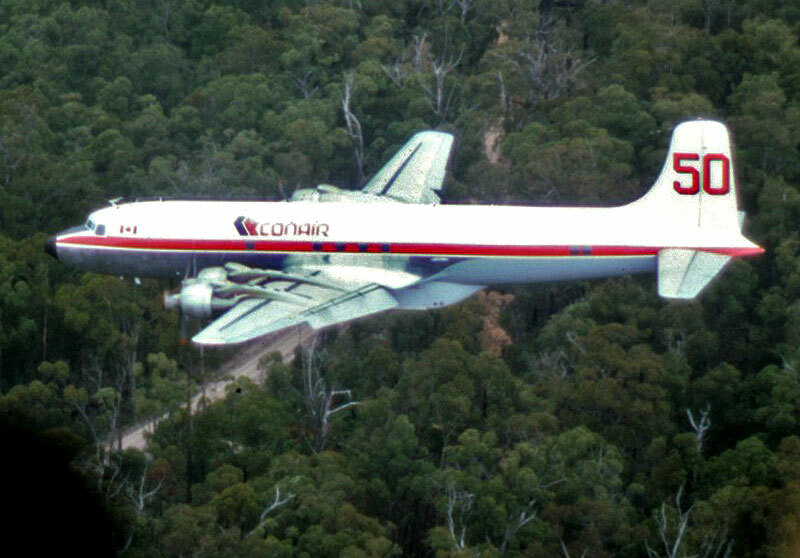 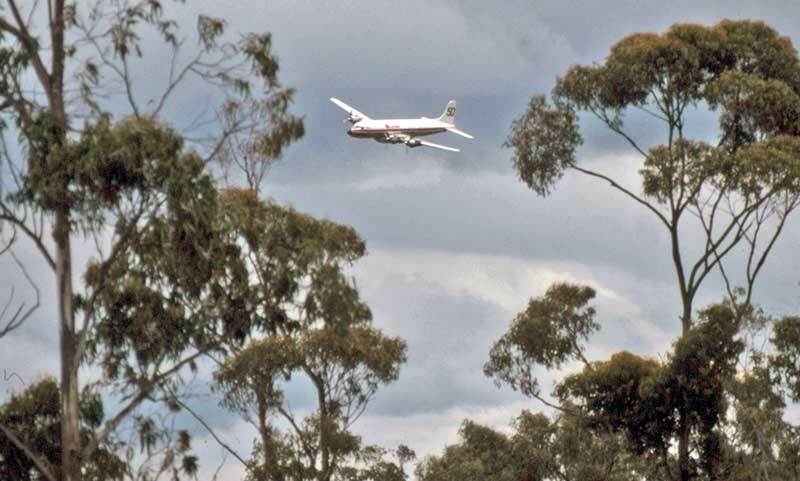 Conair DC-6B C-GKUG turning in for a retardant drop in the Nowa Nowa State Forest in eastern Victoria in January 1984. 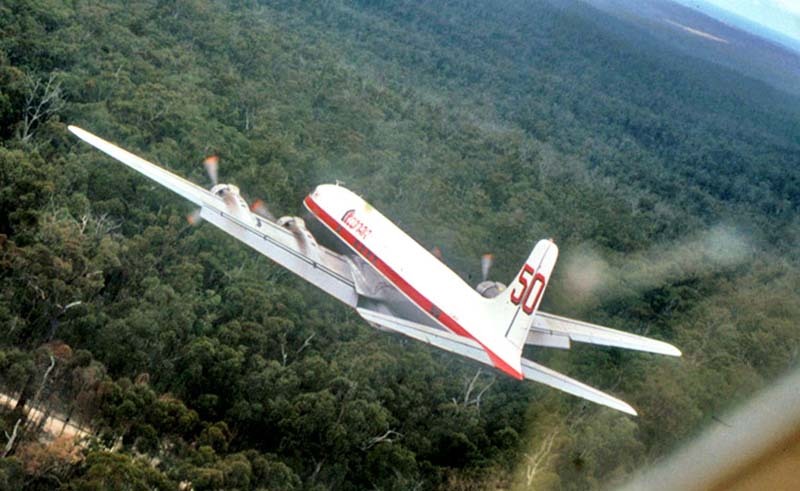 CSIRO Project Aquarius attempted to evaluate the air tanker's effectiveness on a controlled fire in an area of the forest. 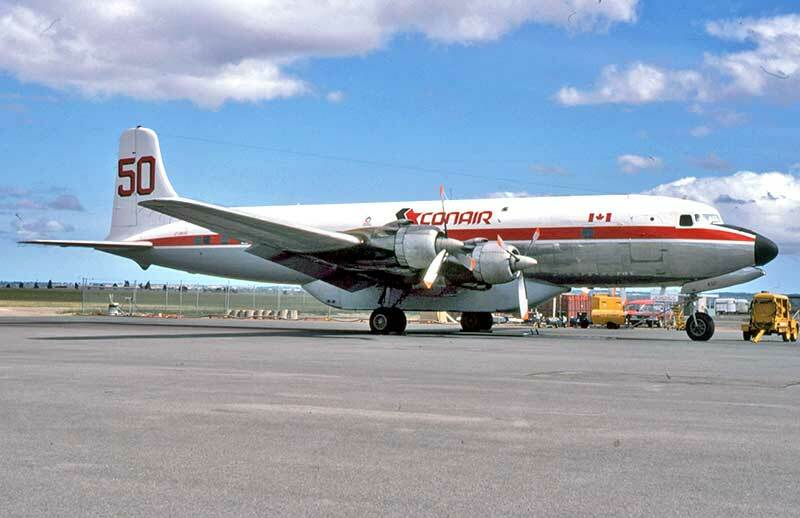 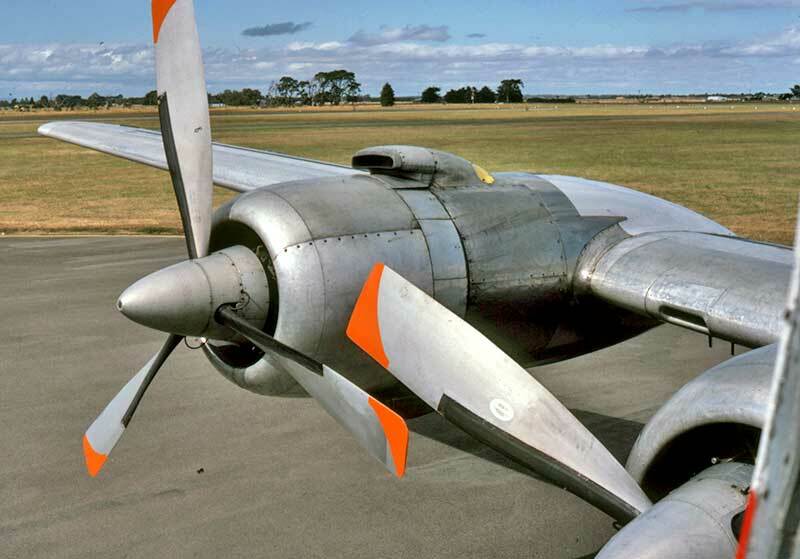 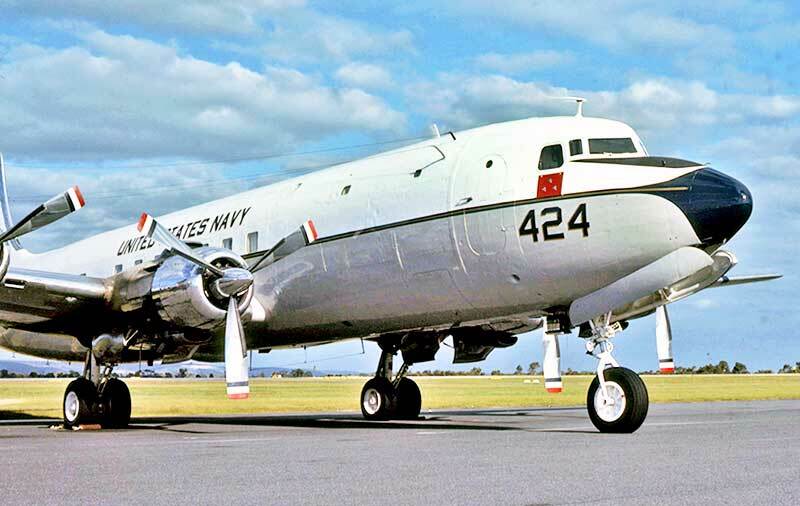 Alongside the DC-6B in the chopper as the Canadian crew line up for another drop run on the fire zone. 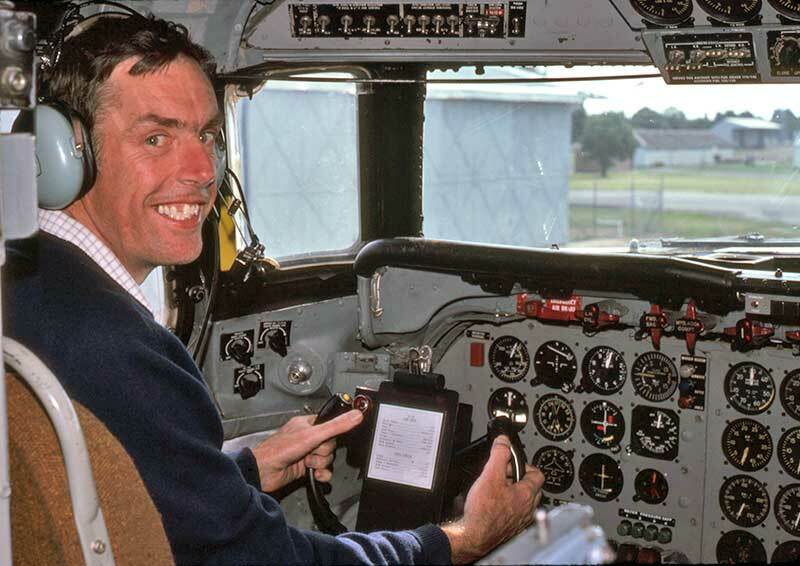 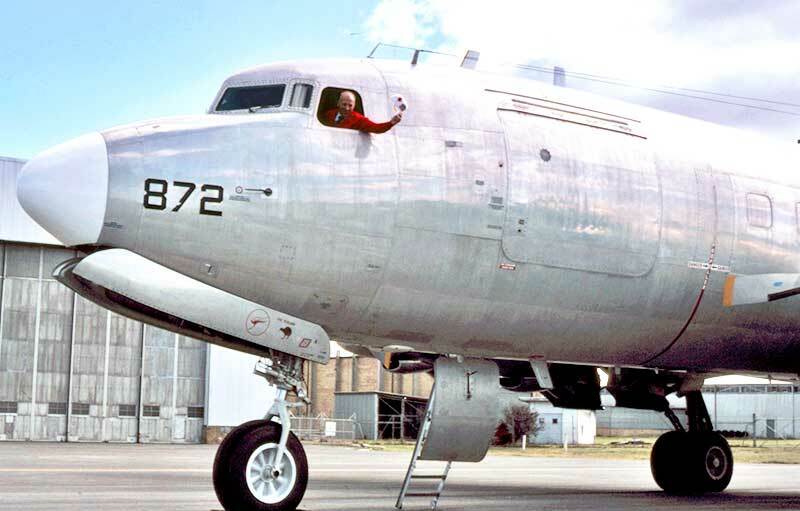 Fellow lifetime propliner tragic Gordon Reid tries out the left-hand seat while the DC-6B was parked at East Sale. 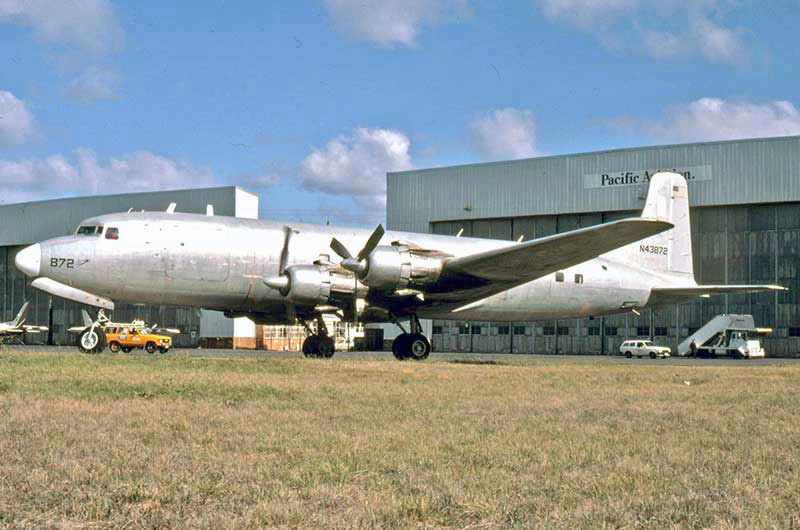 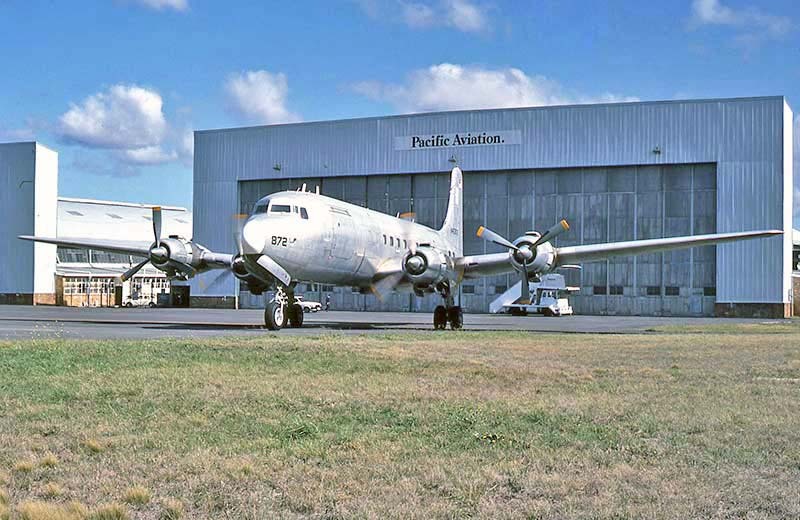 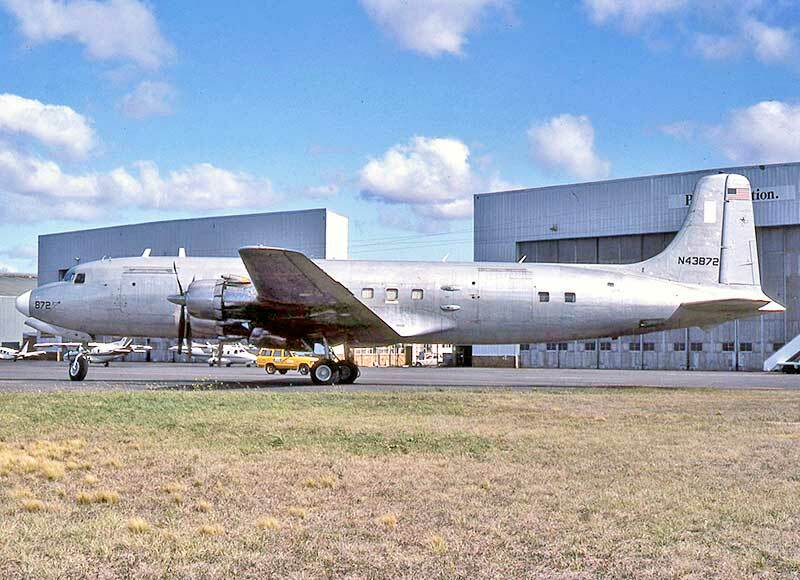 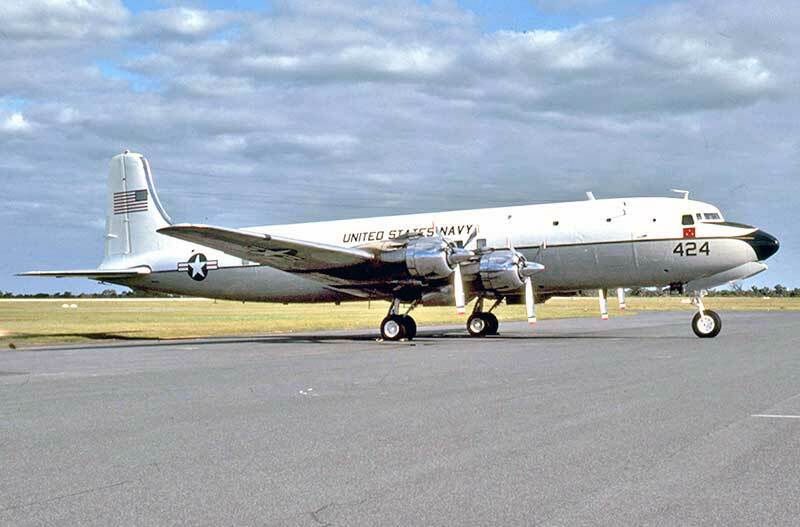 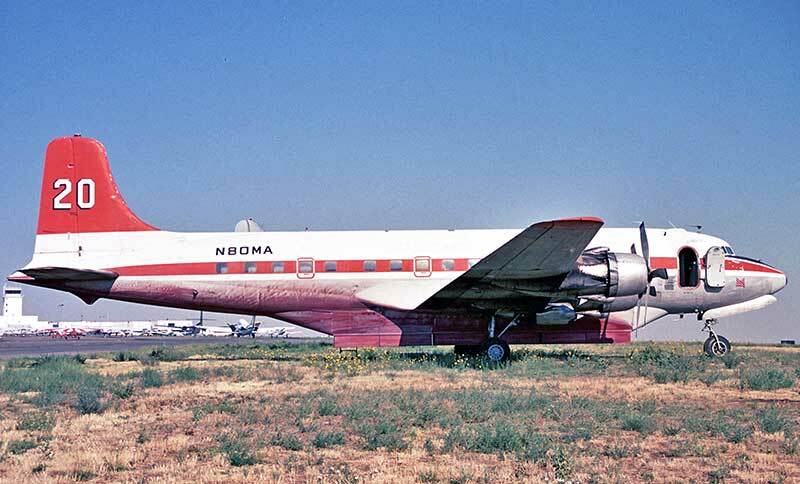 It was a USAF disposals C-118A N43872 operated by the International Shoe Machine Company of Nashua New Hampshire. 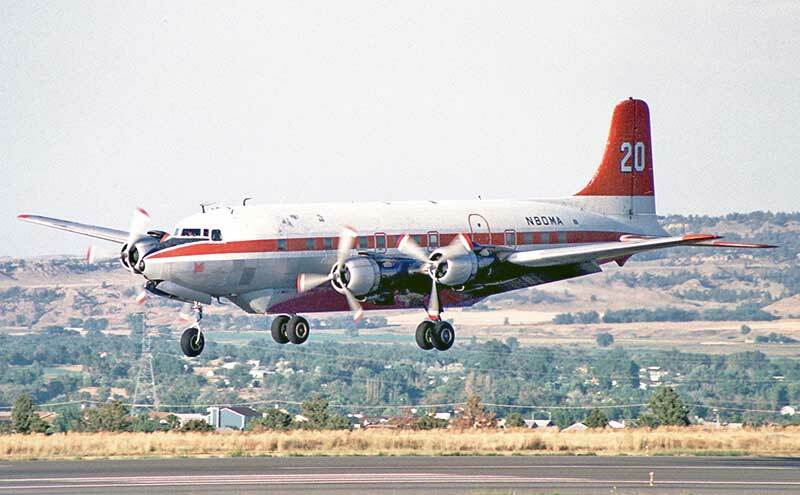 Early next morning at Billings, the fire was under control and the tankers were on stand-down.